Writing on wildlife has historically had a certain flavour in India — often male, privileged, and written after a hunt or shikar. There are the impossible tales of Kenneth Anderson, who seductively (and with a great deal of exaggeration) wrote of elusive man-eating leopards; there are the books by Jim Corbett, who captured the jungle through the surgical eye of the hunter. 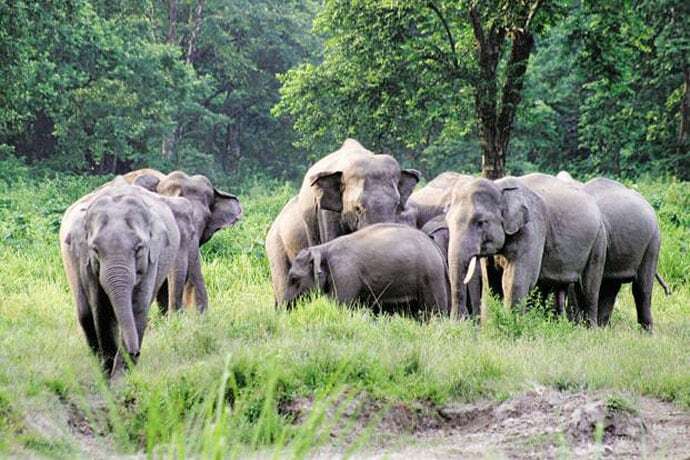 There are stories by Rudyard Kipling and natural history accounts by British civil servant AO Hume, where the forest and wildlife was also an extension of understanding the great colony, India. Wildlife writing has often been male, privileged, and written after a ferocious hunt or shikar. I wanted to read natural history and wildlife writing in a decolonised set-up – no shikars, no obvious flags of power. I wanted to feel the power of the tiger’s lope without looking through the barrel of the gun or the collector’s trophy. Happily, the last few years have seen a great reinvention in wildlife and nature writing. These are hyper-local voices resounding with authenticity, polished off with science, but never compromising on the quality of good writing. These are my favourite five from recent times. Sumana’s erudite, unusual book will grow slowly on you, turning from a seed to a sapling. 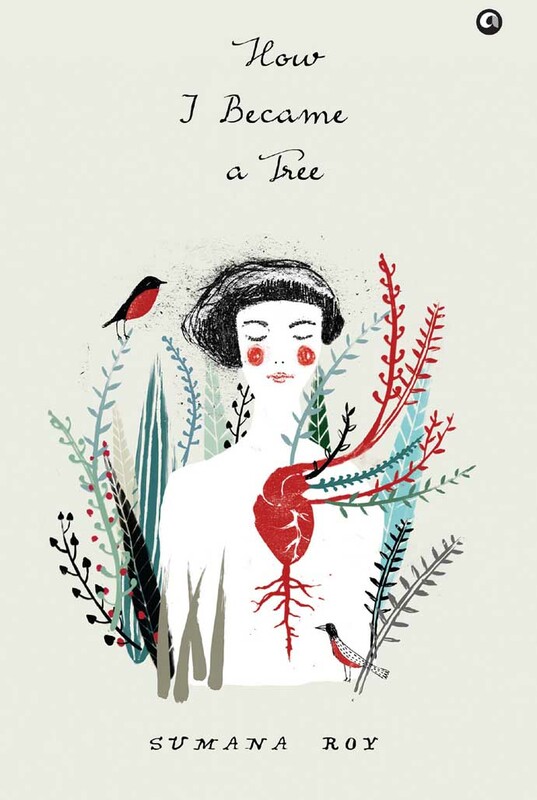 The author writes about her desire to turn into a tree, to escape the noise and chaos of human existence. The book, a work of non-fiction, reminds me a bit of JA Baker’s The Peregrine, but is really a thing in its own right. A blend of science, botany and personal biography, it is, at its heart, about the relationship of the author with trees and nature. How I Became a Tree, Sumana Roy, Aleph Book Company, 239 pages. Ranjitsinh has donned many hats. He was an IAS officer, an erstwhile royal, and remains an active conservationist. Above all though, he is a keen observer of the wild, and his full life spills over to the pages of his autobiography. 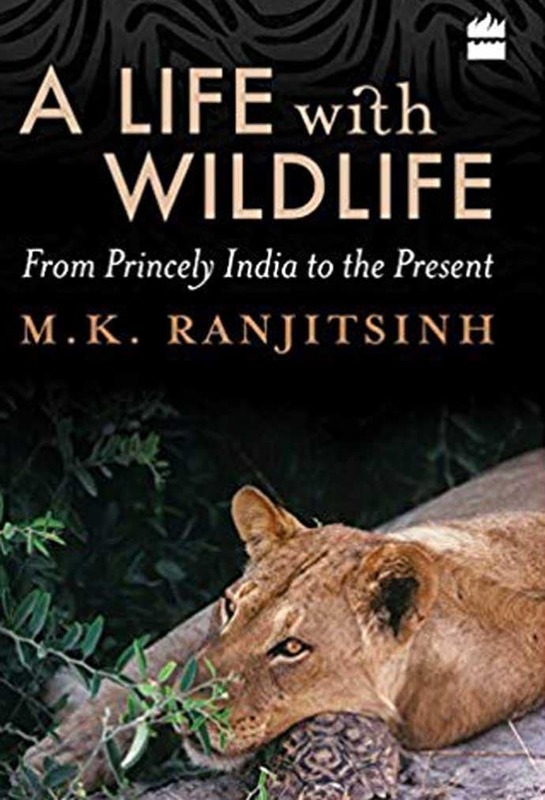 A Life With Wildlife: From Princely India to the Present, MK Ranjitsinh, HarperCollins, 392 pages. This book is natural history, covering a range of forests, grasslands and countries — but is equally an account on the difficulties of conservation from within the system. He is a rapporteur of these experiences, and the reader will be rewarded with rich detail and the particular eye of someone who has helped form decisions. The author recounts instances like his time when, as a civil servant, he tried to avert communal tension after parts of a carcass of a suspected nilgai — sacred to the Hindu community — were found in a small town. What are the lives of people living near wildlife like? Usually places at the edge of the forest, with broken roads, subject to bitter cold and searing, inhumane heat. When people living tough lives encounter wild animals, the results could be psychological terror — or utmost tolerance and untold kindnesses. But these bottoms-up tales seldom find centrestage. 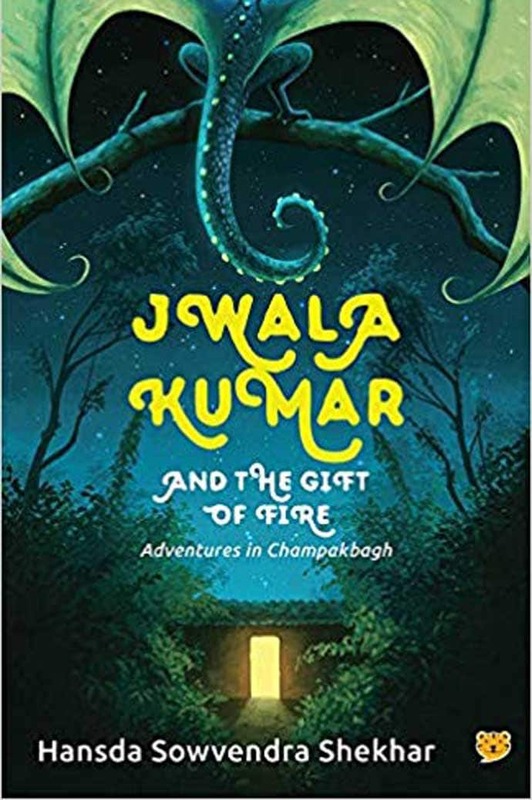 Jwala Kumar And the Gift of Fire: Adventures in Champakbagh, Hansda Sowvendra Shekhar, Speaking Tiger Publishing Private Limited, 129 pages. They do find a home though in Hansda’s children’s book, where we encounter an impoverished family chancing upon a trembling baby animal in their house. This animal could be a metaphor for many sorts of wildlife India finds in its cowsheds and bedrooms – a krait, an elephant calf, a leopard, the list goes on. Jwala Kumar though, may be a magical, mythical creature. The story also made me reflect on how we valorise the mythical, but may not always value the real animal the myth comes from — we worship Ganesha, but our industrial and railway polices are killing elephants regularly. Janaki’s book is a witty retelling of animal tales one easily overlooks — huge saltwater crocodiles, cobras, millipedes. It is also the deeply personal story of how a woman finds her way into wildlife — and chooses a life on a forest-farm where decisions are as much about which flowers to plant as about keeping wild leopards away from pet dogs. Janaki never prettifies her wildlife subject, but she is deeply, deeply interested in it — this imbues the writing with both warmth and candour. Told with an ear on the ground, but never losing its eye on science, this is a gladly welcomed new kind of writing for India. “Forget the Gerald Durrell stories. Nobody dies in these stories, and nobody falls ill either. Field work in reality is, to paraphrase Claude Levi-Strauss, being cold, wet, hungry, tired, or more usually, all four at the same time, most of the time,” that is Rauf’s distinctive voice in a nutshell. 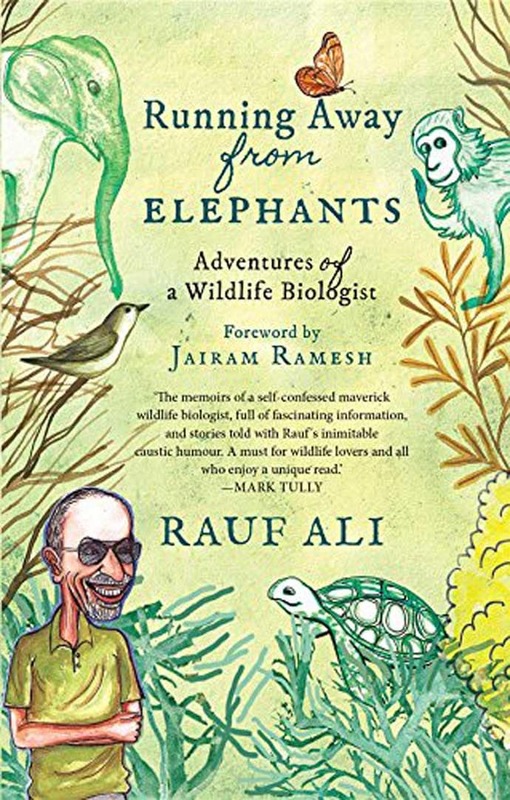 Running Away from Elephants: The Adventures of a Wildlife Biologist, Rauf Ali, Speaking Tiger Books, 329 pages. Seldom does one find a wildlife and field biologist writing with such charm and having so much fun while at it. This slender book — possibly shortened because the author suddenly passed away — is full of cheeky monkeys (Bonnet Macaques) from the Western Ghats, stories of coconuts from the Andaman and Nicobar, and the author’s own journey into becoming a biologist at a time when this wasn’t a career choice. Rauf brings the jungles alive with a lively, attentive eye. Running away from actual herds of elephants is just one part of it. Sanjay’s book documents the tough, dogged fight to save tigers in the 21st century. In the way are dams big and small, roads, industrialisation, a lack of political will, even the bandit and smuggler Veerapan. This meticulously researched book is bittersweet, essential read, for struggles to conserve species with no voice are often laced with failure. Yet, Gubbi provides plenty of reasons to keep going — these include his and his team’s efforts at shutting the Mysore-Mananthavadi highway (between Nagarhole and Bandipur tiger reserves) at night to avoid hitting animals, and the power of a two-rupee RTI to garner invaluable information. That was my list of recent favourite books, and as a bonus, I include poetry. Hello, thank you for your excellent list. I’m a researcher working on post-independent wildlife writings. I’d be immensely grateful if you could furnish me with a bibliography of the major wildlife texts published in India since the past several decades. I don’t have a ready Biblio to give you, and that is frankly a sweeping request. Please look up Rangarajan, Guha, Gadgil and more recently, Annu Jalais, Maan Barua.